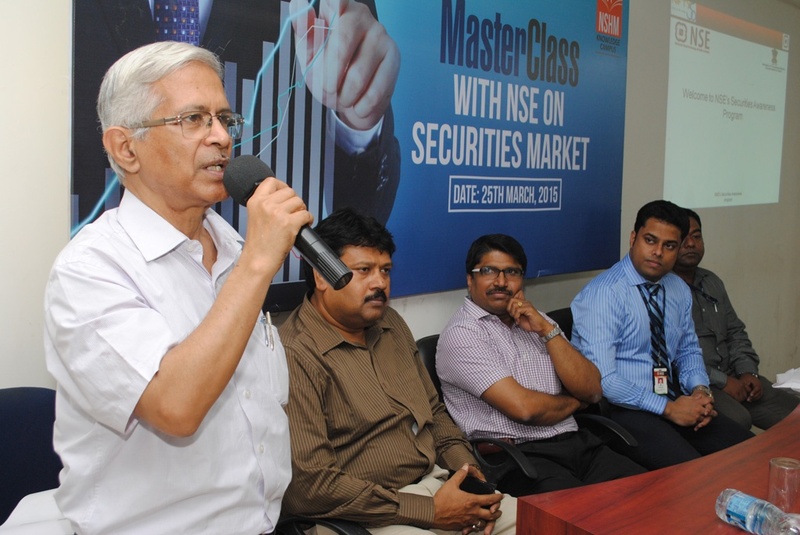 A Masterclass in association with National Stock Exchange (NSE) was organised on 25th March, 2015 at NSHM Knowledge Campus, Kolkata, to address the undergraduate & postgraduate students on financial markets. The objective of the session was to provide the students with an ‘Overview of a Stock Exchange’. The students benefited immensely from discussions on a wide array of topics like Indian Financial System, the structure, operations & role of a Stock Exchange in the economy and others.